Google was officially launched in 1998. Over the past 20 years, it has gone through numerous updates and its SERPs (Search Engine Results Pages) have undergone some dramatic changes. The evolution of Google’s search engine completely changed the way businesses do their online marketing. Once, not too long ago, Black Hat SEO tricks would get your site ranking for your keywords, but these days as Google focuses on providing the best answers for its users – high-quality content and user experience have become the key to SEO. But just how did Google evolve into the behemoth it is today, and how have its search results changed over the years? Like many modern tech stories, this one starts in a garage with a couple of university students. Larry Page and Sergey Brin, two students at Stanford University were working on a project known as “BackRub” where they were developing a search algorithm. Google was launched and the very first SERPs was displayed. The first ever Google search was conducted by computer scientist John Hennessy, to whom Page and Brin were demonstrating the accuracy of their algorithm. Hennessy typed in ‘Gerhard Casper’ into the search bar. Gerhard Casper was the president of Stanford University at that time, and instead of displaying results for Casper the Friendly Ghost – as their rival search engine AltaVista did – Google’s search results showed relevant links to the person, Gerhard Casper. Originally only launched for 350 advertisers, 2000 marked the beginning of pay-per-click advertisements in SERPs. Paid results generally appear at the top of SERPs and are primarily powered by keywords. They generally look pretty similar to organic search results but have a lower CTR (3.82% vs organics 65.72% as of Feb ‘18). 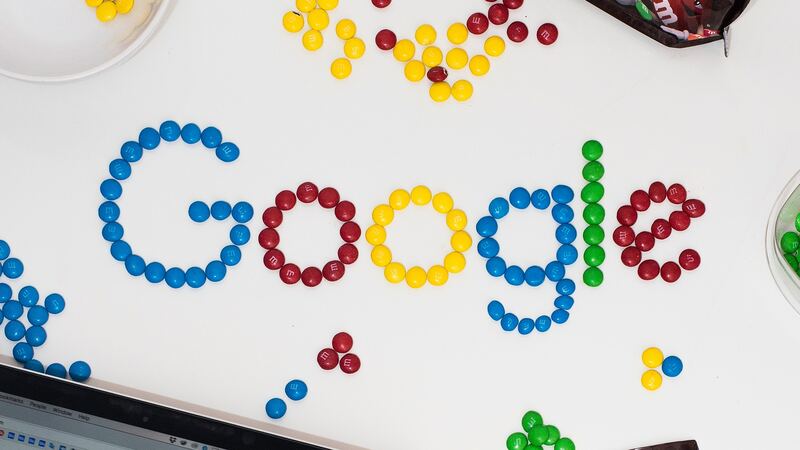 Google went international, launching in 10 new languages – French, German, Italian, Swedish, Finnish, Spanish, Portuguese, Dutch, Norwegian and Danish. Allowing users to conduct searches in these languages, and for content creators to have their content in these languages discovered. Not only could users search for links to content, but they could also search through over 250 million images in its database. 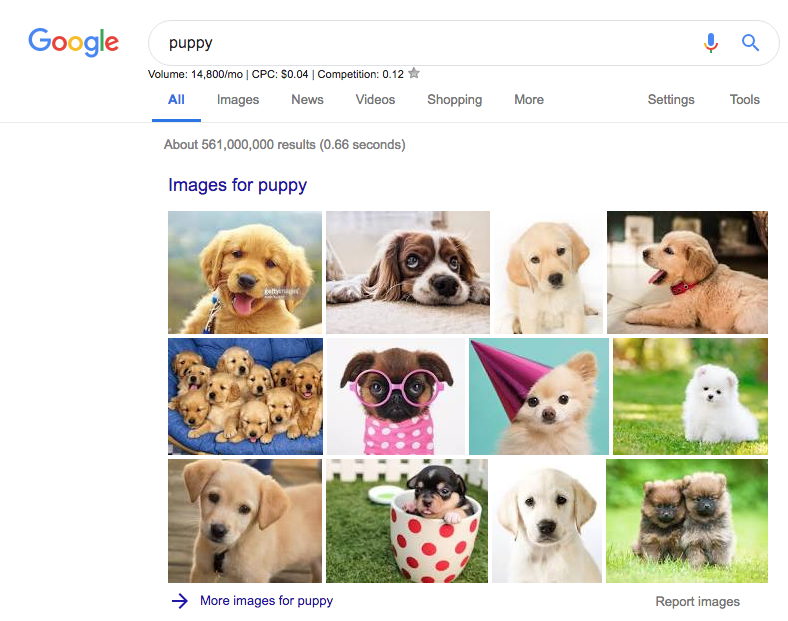 Images could be displayed at the top of some SERPs (where relevant), giving content creators more incentive to add images to their sites and add appropriate HTML attributes so Google could display them for users. Local search results were launched and provided relevant neighbourhood business listings, maps and directions. 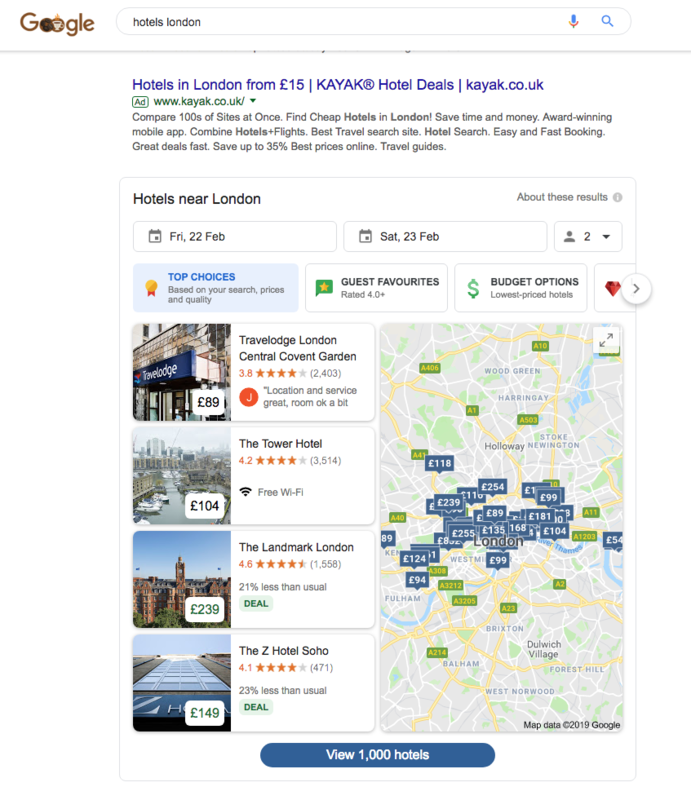 Prior to Google Local, users were searching more for information, but with the launch of Local, Google understood that its users would want to use its search engine to find local products and services online. 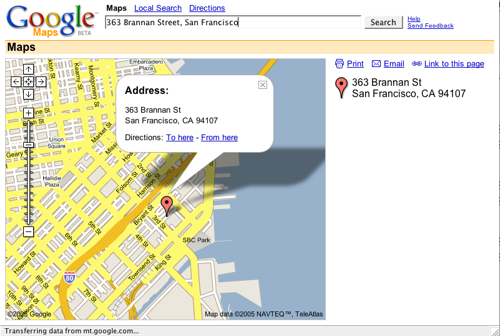 Google Maps was launched. A feature that has changed lives and made it easy for everyone to navigate new areas and find places without getting lost. The Google Plus box was added to search results. If someone searched for a business and Google had further information, such as the business address, they would add a small plus box, that when clicked, it would expand to show this information. From Google Local to Google Maps and Plus Box, the search engine was making it much easier for customers and stores in the same vicinity to connect. At the time that it launched, everyone was taking notice because of the dramatic change it had on the look for Googles SERPs. 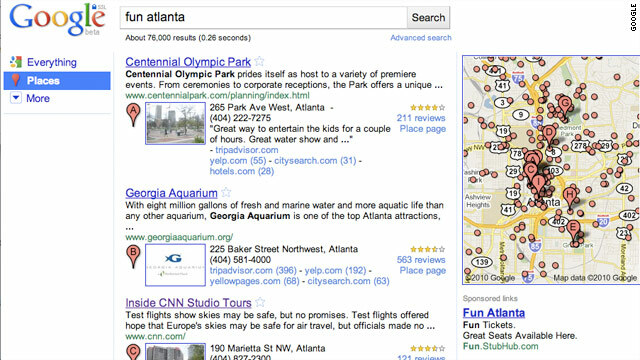 Place added 7 local listings to the traditional Google organic search listings. It included a Google map window of the listings locations and the address, phone number, and the number of Google reviews. This was great for local businesses as users aren’t always looking for a website. By filling out their Google Local+ business page, they could have more information listed in their results allowing users to connect with them offline. Schema markup was introduced by Google, Bing and Yahoo as an initiative to create a unified set of schemas for structured markup. Rich snippets had been introduced prior to this (in 2009) but were not widely adopted and not displayed in most SERPs. The introduction of Schemas markup and a more structured way to annotate data meant that rich snippets have become ever more popular in the SEPRs. 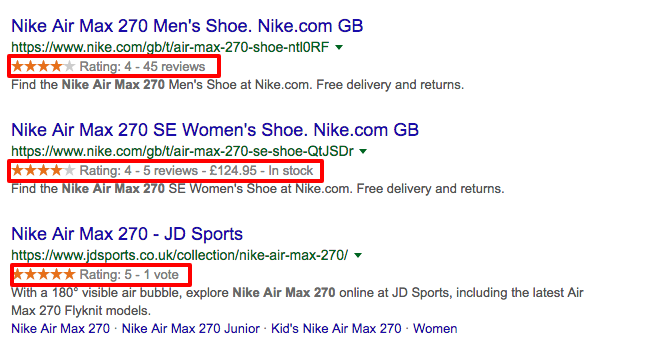 Rich snippets are especially helpful for e-commerce stores as they can display information such as ratings, price, and availability of products as a way to entice a user to click on their listing. On top of Schema Markup, 2011 was the year Google+ authors were added to listings. It was implemented as a way for users to discover content written by experts in their field and let them know they could trust the link they were clicking on. For authoritative authors, this was great. Having their name on their listing was easy to implement through Google’s own Google+ platform and often increase CTR and return visits. 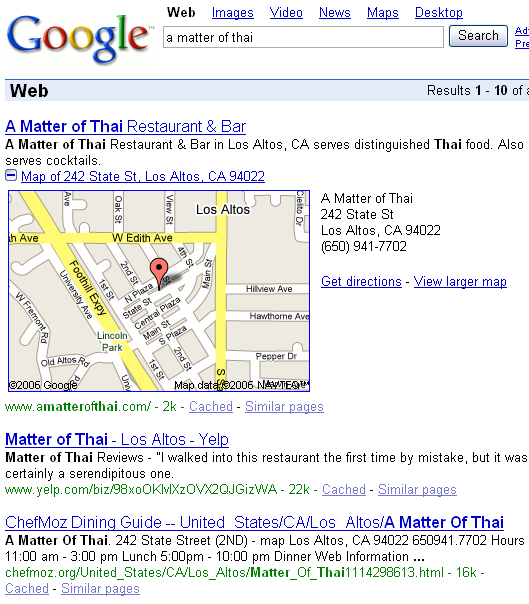 Google launched the Knowledge Graph in May of 2012, creating a huge change to the structure of their SERPs. 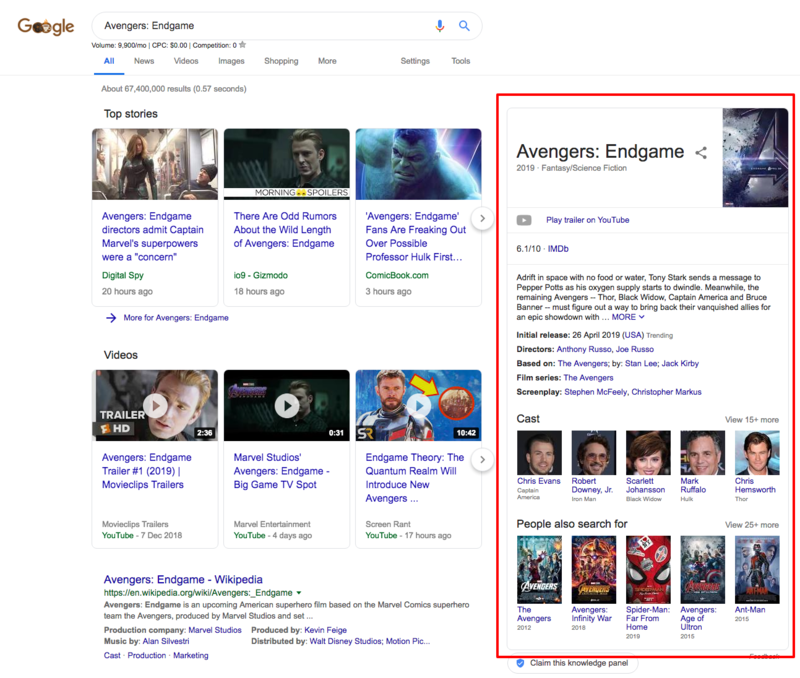 The Knowledge Graph displays a panel on the right-hand side of search results that pulls information from the web to give quick snippets and summaries of information the user is searching for. For example, in the listing above it displays; release date, directors, a quick summary of the plot, cast members and other movies people have searched for. Each piece of information links to the site where the information was pulled and you can get more detail. While the Knowledge Graph is great for users wanting to find information quickly, it hurts sites and creators that provide information by generating fewer clicks for them. When Google’s Carousel launched in 2013 it was originally for Local, displaying listings for things like hotels, nightlife and restaurants. However, this dropped just a year later and replaced with panels like the one shown below. The introduction of ‘Quick Answers’ (which later became Featured Snippets). 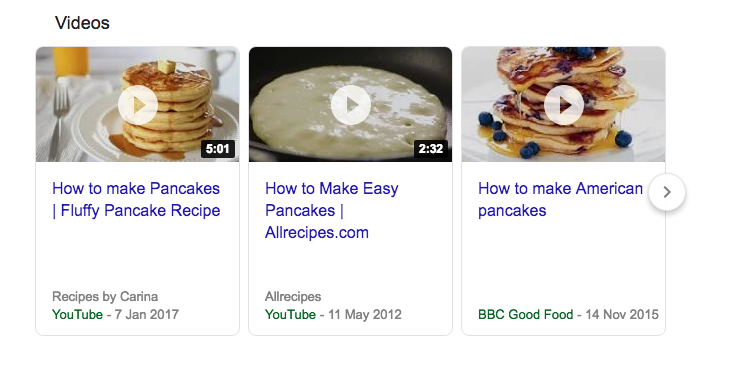 Much like the Knowledge Panel, quick answers gave users information right on the SERP, but unlike the Knowledge Graph, the majority of them came from Google’s own knowledge base meaning they had no links to sources. The ‘In the News’ box started to be displayed in SERPs and was later renamed ‘Top Stories’ and became a carousel. The change in name came in 2016 due to some issues Google was having with displaying fake news in this box. Google News vets all the publications that it displays, but the Google News box just displays ‘newsy’ stories from across the web. The similar names were causing confusion and Google was receiving backlash for some of its results. 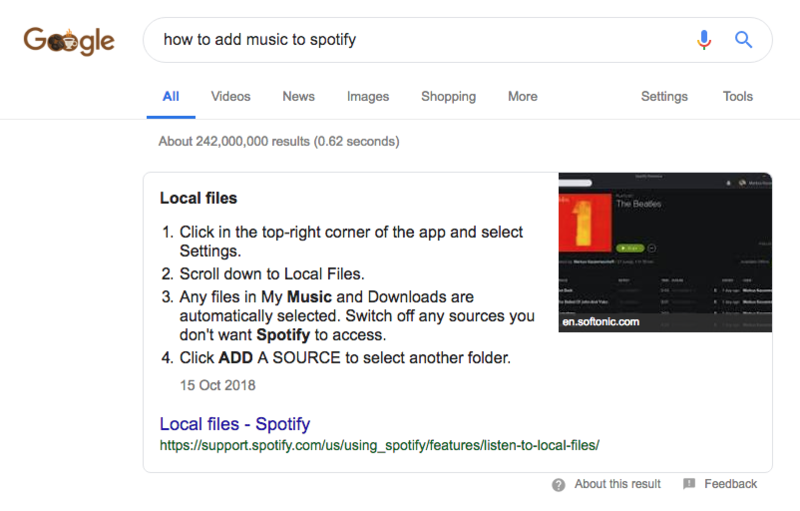 The Featured Snippets showed a quick summary answer to the search query, displayed at the top of search results and could take a number of forms including paragraphs, lists, and tables. Authority: Google chose your page or site to deliver the answer. 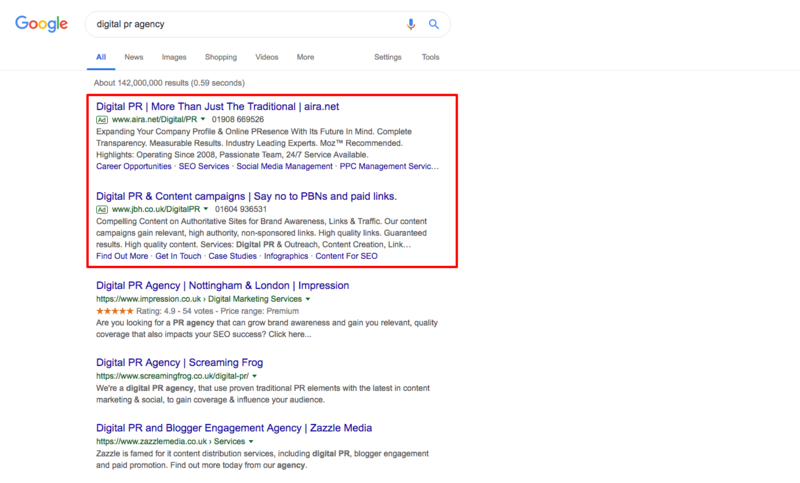 Ranking ahead of your competitors: You might not rank top for a search term but if you get the featured snippet you will be displayed at the top of the results, effectively outranking your competition. 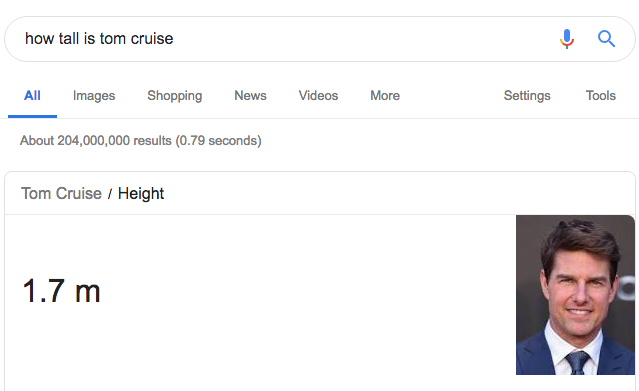 With that being said, the concern content creators have with Featured Snippets is as they provide answers right there on the SERPs (or even as voice answers if the questions come through Google Home), that there is no need for the user to visit their site. When Google launched Jobs in 2017, it caused massive disruption to the recruitment industry. Have you ever searched for a job online before? Of course you have, and it is a nightmare. From different companies using different terminology to poorly written or out of date job descriptions the process can often leave you wanting to bang your head against a wall. 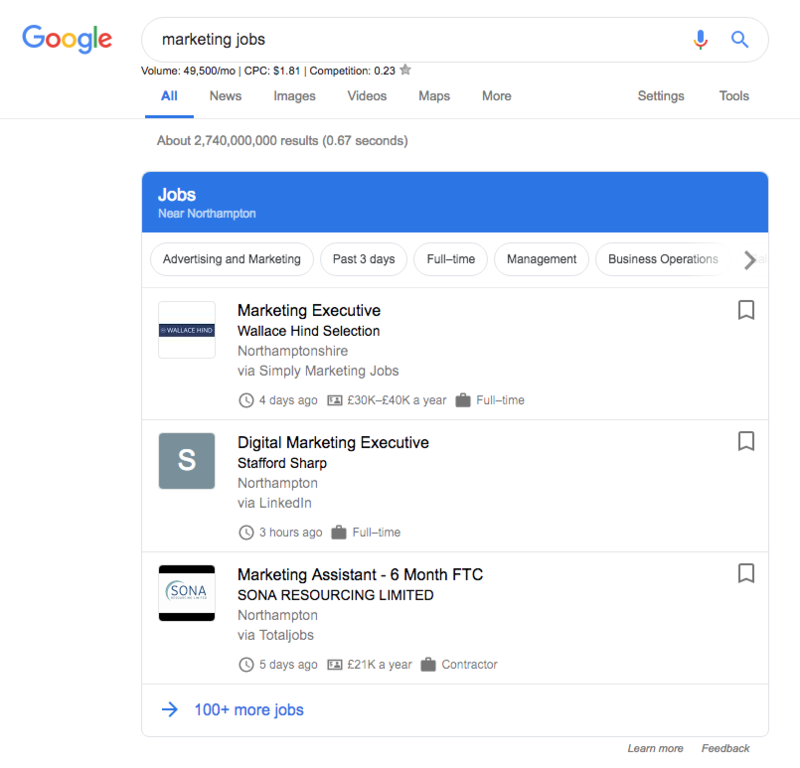 With the aim to improve the job search process for both employees and employers Google has continued to improve its search capabilities so that users can find jobs that are well matched to them and filter results by things like date posted, commute time, etc. Google began including videos in a carousel. Previous video results had been displayed with a thumbnail in organic results. At the same time this change was implemented, the number of SERPs that displaying video results increased. What does the future hold for SERPs? In March of 2018, Google started conducting Zero SERP tests. 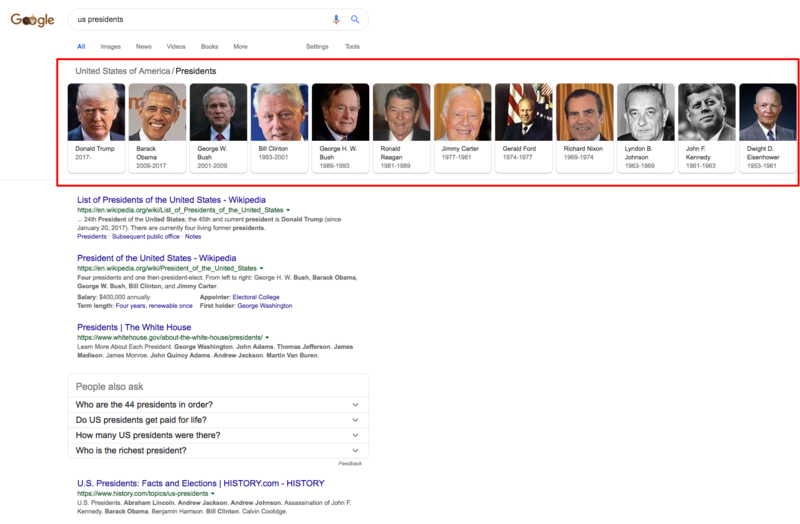 On a selected number of Knowledge Cards, with simple queries such as time and date, Google displayed results to the searcher with no organic results, just the knowledge card. A “show all results” button was displayed underneath, that the user had to click on for organic results. While Google only conducted these tests for around a week, it could be an ominous sign of what is to come.